RNAO is excited about this new smoking cessation workshop series focused on the specialized population of pre and postnatal women and their families. This workshop has been developed to enhance knowledge and skill fur nurses and other health care providers in primary care settings where pregnant and postpartum women who identify as tobacco dependent access care. Workshop curriculum will highlight a new resource by Best Start Resource Centre to provide the best practices on supporting pregnant and postpartum women who are tobacco dependent. Curriculum will focus on knowledge and skill enhancement. Using a woman-centered lens we will examine personal attitudes and judgments regarding mothers who smoke to increase awareness and reduce stigma. In addition, we will practice motivational interviewing techniques using scripted dialogue and case scenarios, discuss how an interdisciplinary team approach can be used for this specialized population and learn more about counseling pregnant and breastfeeding mothers on the safety and risks associated with nicotine replacement therapy and cessation medications. 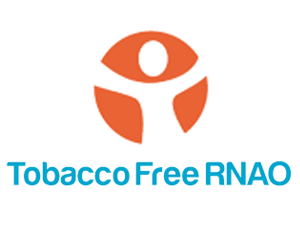 Participants will receive a number of new RNAO resources including a wallet card on smoking cessation with evidence-based content provided by RNAO, Motherisk and Smokers' Helpline. Additionally RNAO "Quit Kits" will be provided for participants' clients. The workshop will be hosted by the Timiskaming Health Unit at no cost to participants with funding provided by the Ministry of Health and Long-Term Care. The workshops will be co-facilitated by an expert in smoking cessation. Nurses who must travel to attend an introductory workshop or advanced session may be eligible to receive reimbursement for travel expenses. To apply for reimbursement, you must fill out a travel reimbursement request form and submit it BEFORE the workshop (form provided upon request after registration). If approved, you will be required to submit receipts and other relevant documents following the workshop. Please note that reimbursement generally takes 3-6 weeks following receipt of your expense claim. Travel Reimbursement is made possible through funding from the Government of Ontario's Ministry of Health and Long-Term Care.